LAIPLA Diversity Fellowship Program strengthens the IP community. LAIPLA created the Diversity Fellowship in 2014 to increase diversity in the Intellectual Property (“IP”) bar. Although the lack of diversity generally in the legal field has been well documented, the problem of underrepresentation in the IP bar has been discussed less frequently despite evidence suggesting that it is even more pronounced. One survey showed that minorities only comprised 9.1% of the IP bar, while women were 16.2% of the IP bar. LAIPLA also formed the Diversity Fellowship to give law students practical skills and experience working as in-house counsel. As the legal profession has changed, more employers have sought law school graduates with hands-on, real-world skills. In turn, law students are seeking experiences that help them better understand the needs of corporate clients. One way the Diversity Fellowship promotes inclusion and diversity in the IP bar is by equipping law students with the practical skills needed to better succeed as an attorney. The LAIPLA Diversity Fellowship provides a $6,000 stipend for a law student to work up to 10 weeks in an in-house legal department. The Fellowship is open to first and second year law students at an ABA or California accredited law school, who have an interest in practicing IP law in Los Angeles, and identify with an underrepresented group. 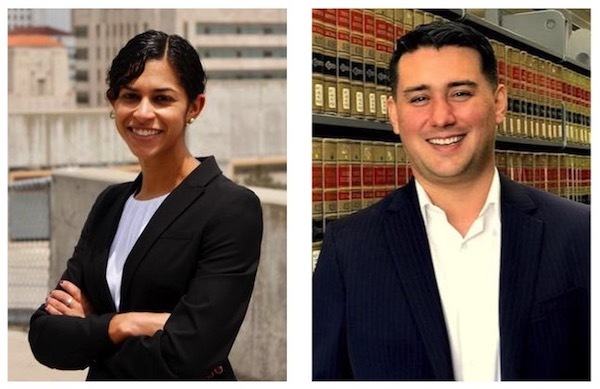 LAIPLA is pleased to announce and congratulate this year’s LAIPLA’s Diversity Fellows, Chloe Stepney and Joe Barrientos! LAIPLA wants to especially thank Boardriders Inc. for hosting Chloe and Edwards Lifesciences for hosting Joe. And of course, LAIPLA wishes to recognize and thank this year’s sponsors, Arent Fox LLP and Stradling Yocca Carlson & Rauth P.C., who made these Fellowships possible by providing the stipends. This year’s Diversity Outreach Committee included Bita Rahebi, Jennifer So, and Chris Jackson. Please reach out to LAIPLA if you are interested in joining the Diversity Outreach Committee for the 2018-19 term. Chloe is a student currently studying at Loyola Law School in Los Angeles. Prior to law school, Chloe worked in the media industry for five years after graduating from the University of Southern California, where she earned a Bachelor of Arts in Print and Digital Journalism. 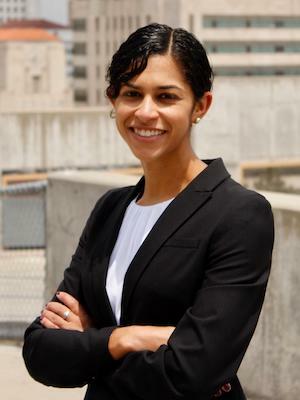 With experience at both start-ups and large news organizations, Chloe most recently worked at Tronc, the parent company of the Los Angeles Times and Chicago Tribune, where she focused on audience development, social media strategy, and digital marketing. Chloe’s curiosity and passion for digital media, communication, and technology inspired her to pursue a legal career at a time when innovation is at the forefront of business. Originally from the East Coast, Chloe now calls Southern California home after living in Los Angeles for nearly 10 years. She looks forward to joining the in-house legal team at Boardriders, Inc., the international sports and lifestyle company behind Quiksilver, Roxy, and DC Shoes. This summer, she hopes to dive into an array of legal issues, from trademark strategy to contract drafting, and cultivate strong relationships with both Boardriders and the LAIPLA community. Joseph (Joe) Barrientos was born in Houston, Texas, but later moved to El Paso with his mother to live with his grandparents. After high school, Joe enlisted in the US Air Force and became a Security Forces member in Sumter, South Carolina. Joe was deployed in support of Operation Enduring Freedom after 2001 and to Iraq in 2003 and 2005. After Joe’s service, he moved to Austin, Texas and worked as a bartender by night while attending class by day to earn his degree in international studies. 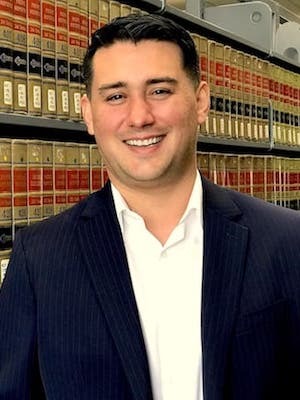 Since Joe started law school at the University of San Francisco, Joe has been avidly pursuing an interest in intellectual property. For example, Joe participated in the Saul Lefkowitz IP Moot Court Competition, worked for the summer in Rome at Akran IP, was one of five students chosen to receive an INTA scholarship to attend the Annual Meeting, and was selected as a Hispanic National Bar Association Intellectual Property Law Institute fellow. Joe is currently active in his local IP community and looks forward to being a member of the LAIPLA as well.